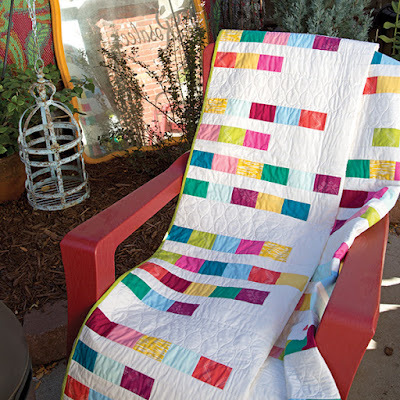 I am so excited to share my most recent published quilt pattern! 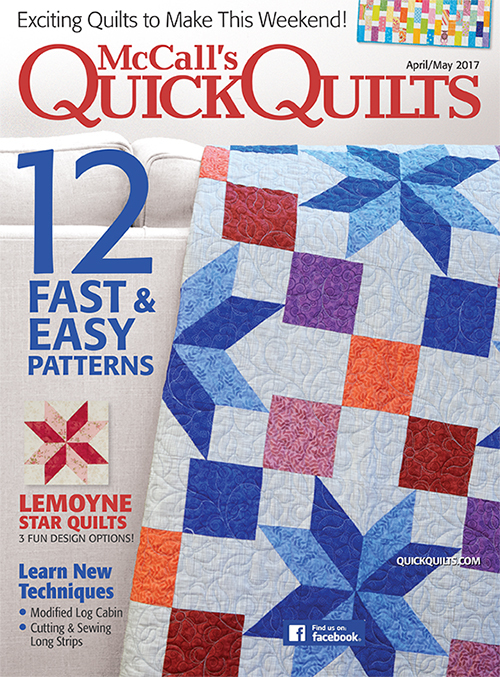 It is in the April/May 2017 issue of McCall's Quick Quilts and it's called Wide Open Spaces. This pattern is modeled after those vintage chenille bedspreads, where the pattern was along the outside border and the center was empty. I thought it would look beautiful hanging over the sides of a twin bed. It's an extra long twin, with the finished size measuring 70"x 90.5". 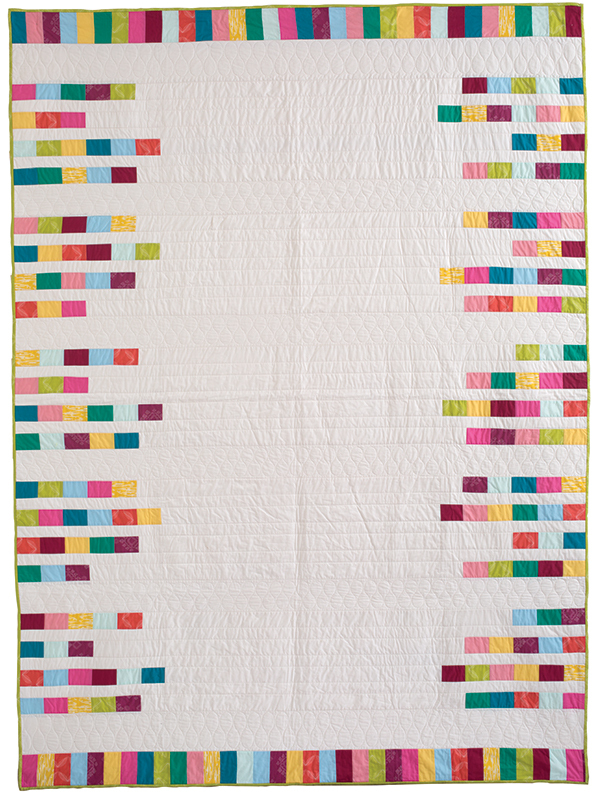 If you look closely at this picture, you can see the beautiful quilting done by Laura McCormick of Always Keep Quilting. I used some prints from BariJ's Joie de Vivre line and lots of Art Gallery Pure Elements Solids. One of my favorite parts of having my quilts in magazines is the artsy photos they do to show off the quilt.